Americans already pay more for pharmaceutical drugs than almost any other nation, and we also take the lion’s share of them, though our overall health as a nation is relatively poor. Do we really need a Big Pharma insider as the chief of the US Food and Drug Administration (USFDA)? That is just what may happen. President Obama has nominated Dr. Robert Califf, a doctor described as “the ultimate industry insider” to this position. According to the New York Times, Dr. Califf “has deeper ties to the pharmaceutical industry than any F.D.A. commissioner in recent memory.” He has an extensive record of close collaboration with pharmaceutical giants, and recently described regulation as a “barrier,” not a safeguard for public health. So why would Obama appoint the ultimate industry insider to the FDA? I’m sure you can think of a few reasons if you’ve been reading Natural Society for any length of time. Why would the leader of the nation appoint someone who is getting kickbacks and other financial support from over 20 different pharmaceutical companies – all of which Califf has admitted to. If the senate allows Obama’s nomination, Califf will steer one of the biggest agencies in government – one that accounts for about 25 cents of every dollar American’s spend on drugs – and that amounts to billions annually. One of the FDA’s recent allowances for Big Pharma which would likely only get worse under the ‘rule’ of an insider like Califf is S 3187, a bill which is primarily concerned with increasing the pay-to-play administrative fees; in other words, the FDA is going to charge those who contract with them more while at the same time shortening the time it takes to get all pharmaceuticals approved. That means more fast-tracking for more drugs that harm and impair the public at high costs. Need an example of some recent ones? 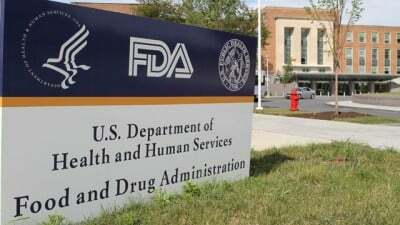 Look here for a listing of over 35 that had to be pulled form shelves after FDA approval. AIDS healthcare Foundation (AHF), which has criticized FDA Commissioner nominee Dr. Robert Califf as ‘too close for comfort’ to the drug industry, has called on President Barack Obama to immediately withdraw Dr. Califf’s name from consideration for the post as head of the FDA after news broke that Califf previously ran an academic headhunting company that had deep ties to the drug industry and whose primary mission appears to be have been to avoid or lessen government regulation of the industry. There is now a petition for US citizens to ask Obama to remove the nomination as well.